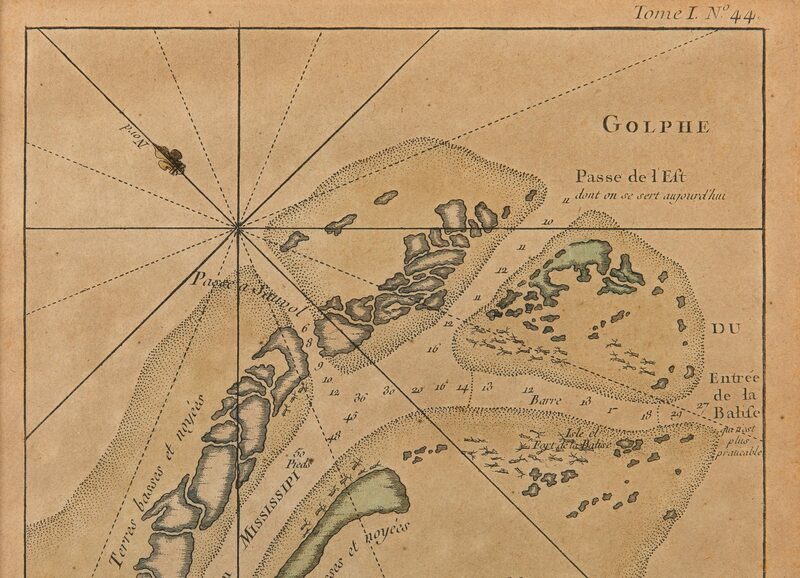 Three (3) Jacques-Nicolas Bellin (1703-1772) copper plate engraved maps with hand coloring and decorative cartouches on laid paper, all from "Le Petit Atlas Maritime", 1764. 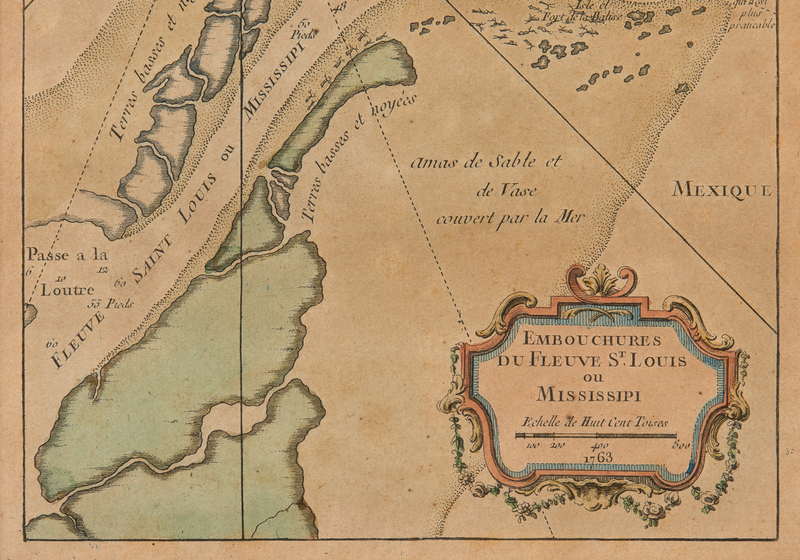 1st item: Embouchures du Fleuve St. Louis on Mississippi, showing the entrance to the Mississippi Delta. 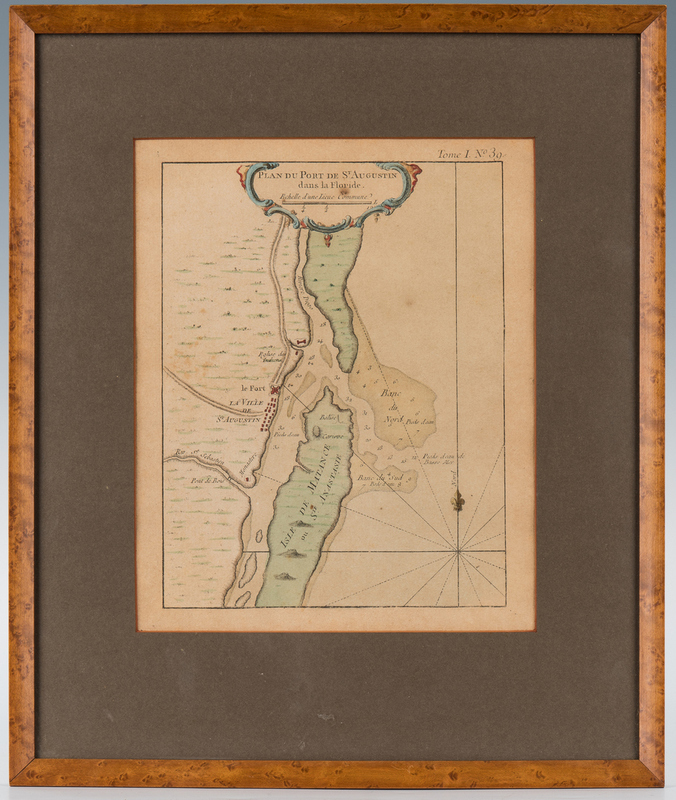 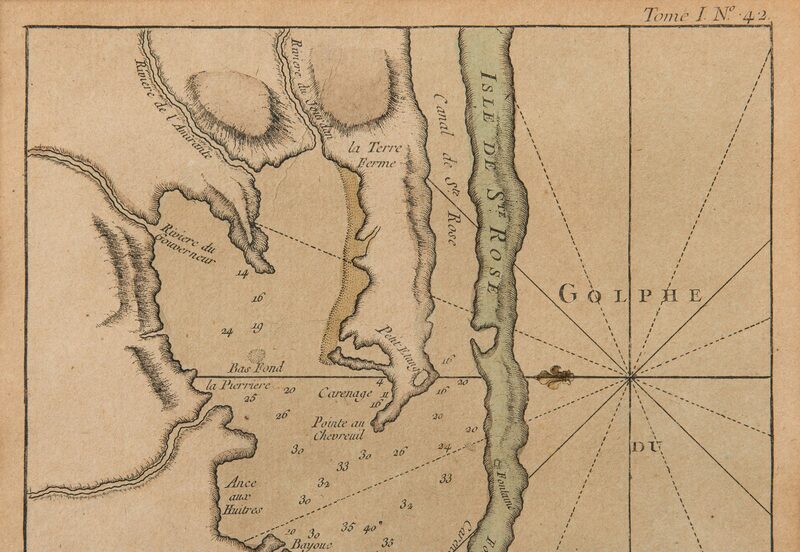 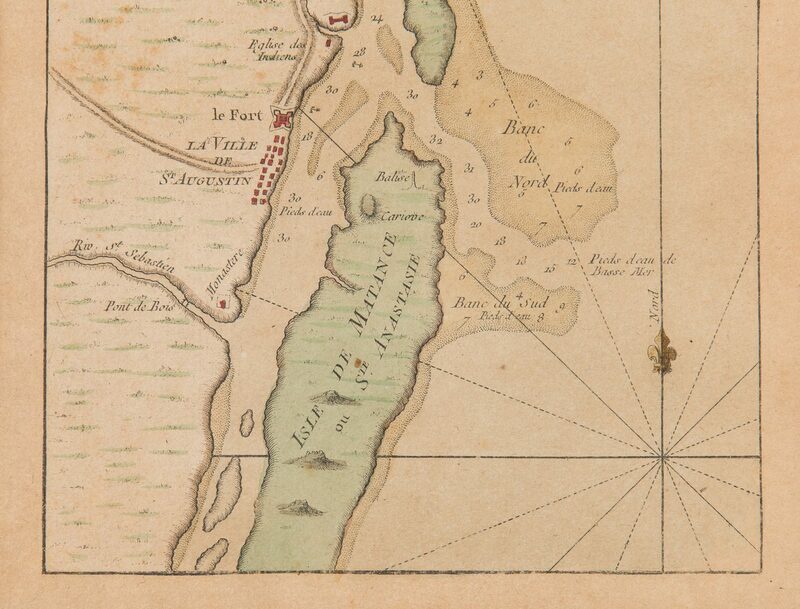 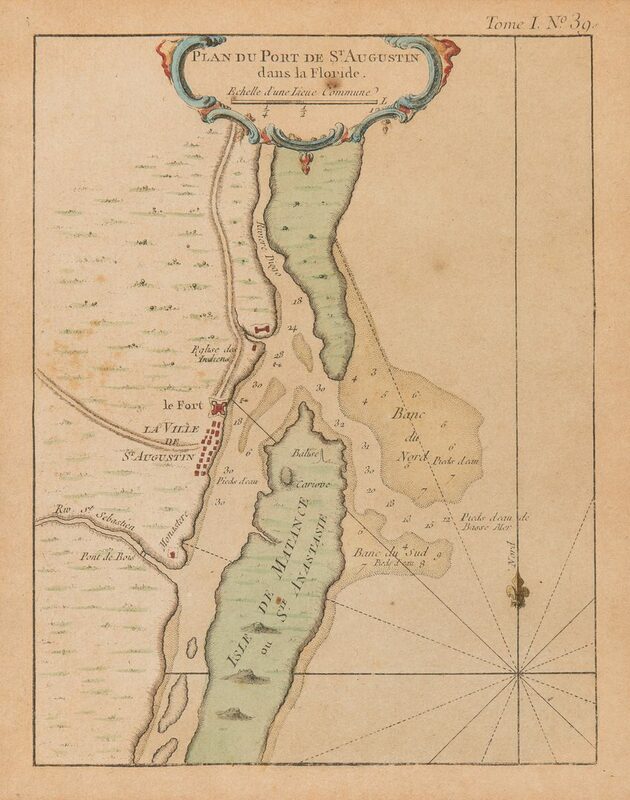 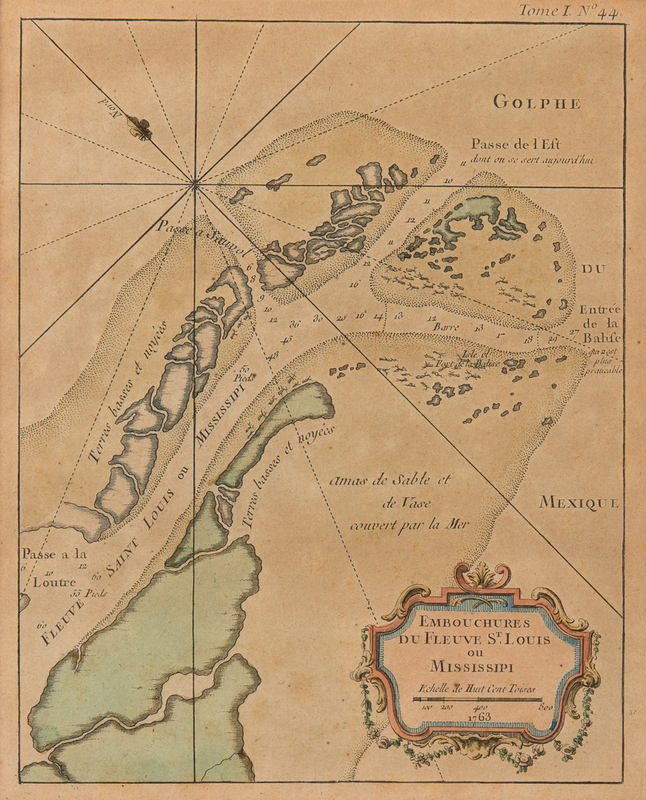 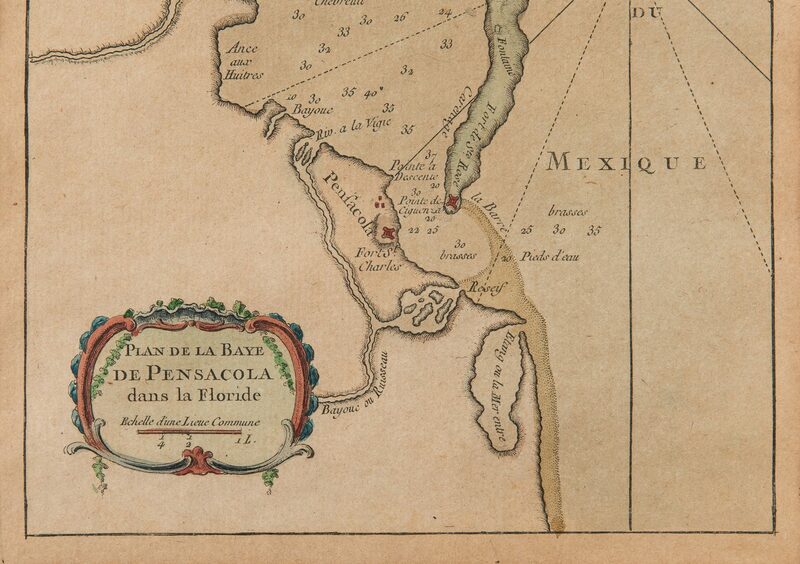 2nd item: Plan de Baye de Pensacola dans la Floride, showing a plan of Pensacola, Florida. 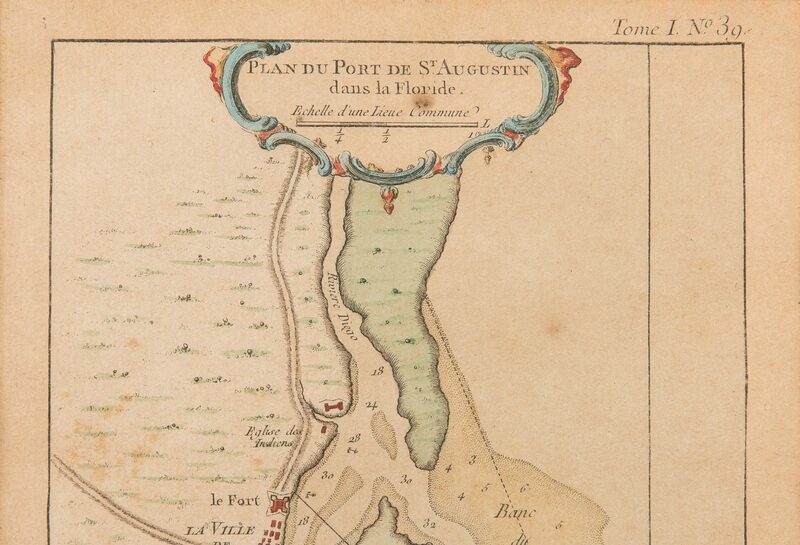 3rd item: Plan du Port de St. Augustin dans la Floride, showing a plan of St. Augustine, Florida. 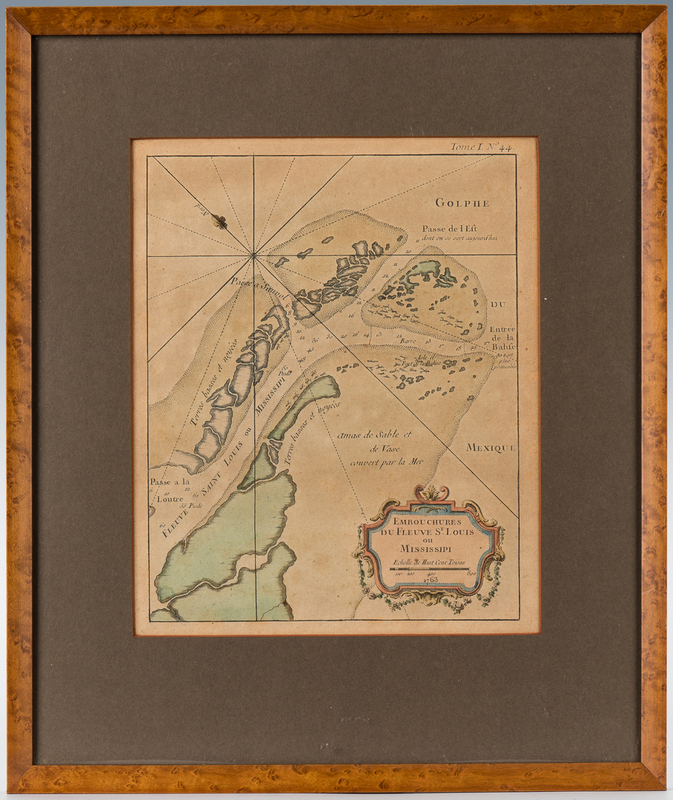 All framed under glass with olive mats in narrow burlwood frames. 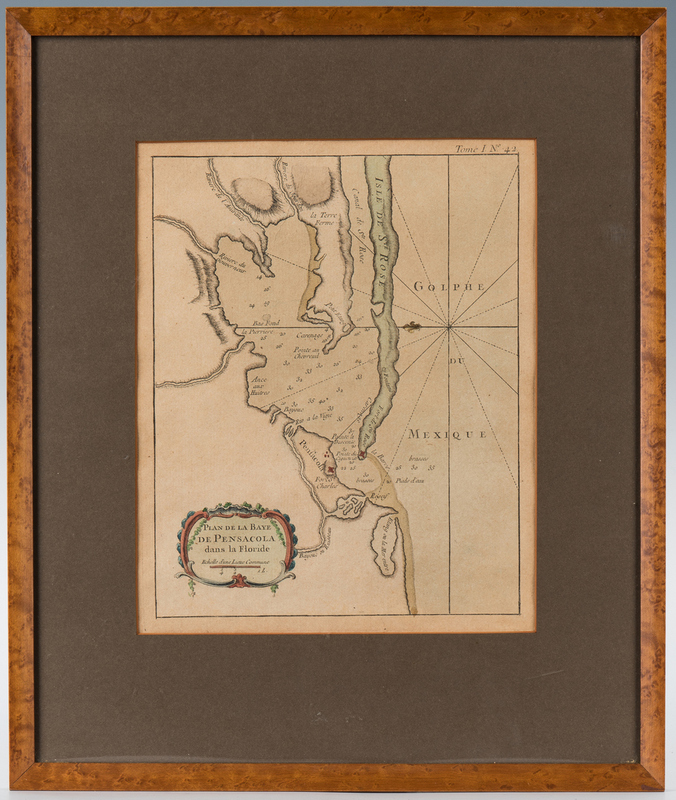 Each map approximately 9" x 7 to 7 1/2" sight, 14" x 12" framed. 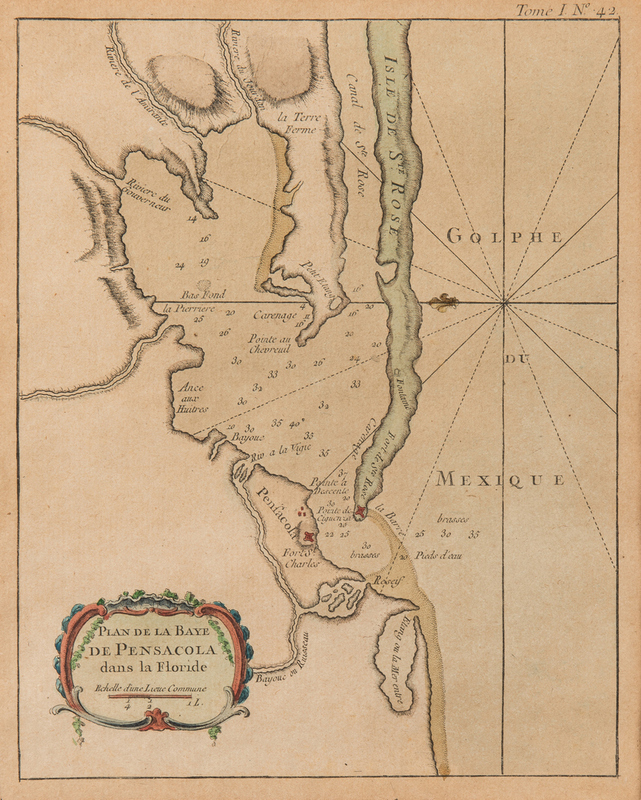 European, mid 18th century. CONDITION: All with significant toning, otherwise very good condition, no tears or creases visible. 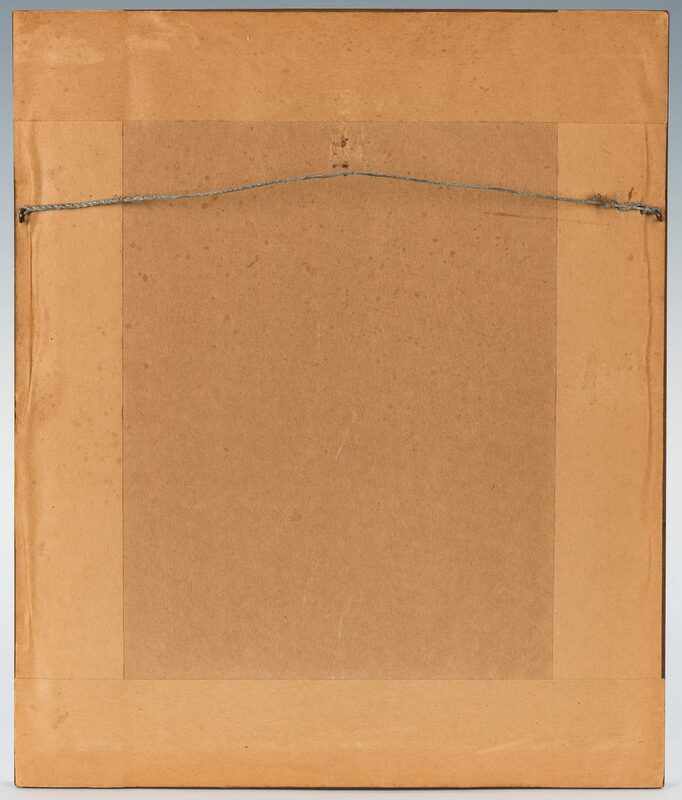 Not examined out of frame.